Recently MTV released it’s new series “Buckwild.” With the era of Jersey Shore coming to a close, MTV execs. sought out a new money maker. Obviously they needed a show that portrayed “ignorant,” “illiterate” people acting wild. I guess they found it. Melissa Whitman of South Charleston, W.V. lives across the street from the production house. Whitman commented on how the production crew staged, tweaked and re-shot scenes. The show’s production was chaotic and noisy, but Whitman said the worst thing was the language, which often turned profane. Whitman said the neighborhood has a lot of young children. Nobody was happy about the disturbances, but there seemed to be little anyone could do about it. That the cast and crew could continue shooting where they left off might underscore something Whitman noticed. 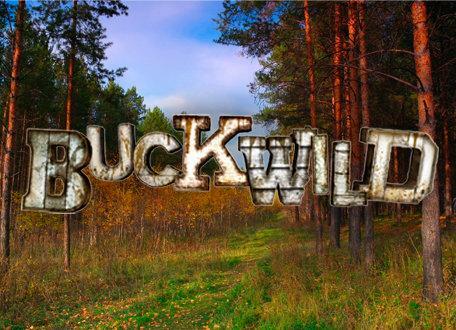 For a reality show, a lot of “Buckwild” looked faked. Whitman said she watched them re-shoot and tweak scenes. She said, “The big moving-in scene was shot two weeks after the girls were already living there. They shot the scene with the kid throwing trash into the back of the garbage truck at the end of the street. Some of the confrontations, she said, are also staged. In the show’s promotional trailer, a black woman with dark red hair is seen confronting the cast. Whitman said it was completely manufactured. It is interesting that MTV executives are now tweaking old Appalachian stereotypes while infusing the never ending party mentality of the show “Jersey Shore.” To analyze this and put the depiction of Appalachia into context, I think “Buckwild” serves merely to satisfy the insatiable American appetite for reality shows in general. Each “reality” show since their beginning, have pushed the agenda. The past couple of years, Americans could enjoy what some label “Redneck Reality.” With shows like Honeybooboo, Swamp People and Duck Dynasty, it is hard to dispute that America…has a reality show problem. Wild and ignorant apparently is the new black. It is not at all surprising that film makers will ask for more extravagance, direct mischief, and encourage erratic behavior. To make matters worse television execs. pay for it, leading to a line of willing “cast” members. And Appalachia’s tie into all of this? Can you think of a better backdrop for show driven to be as crazy as possible in the setting of what is stereotyped as the wildest part of the country? One thing is for certain, most Appalachians in West Virginia do not care for the show’s allure. Previous Thank God for John C. Calhoun!!! !